Our team of experienced lettings agents will work hard to meet your lettings needs - whatever they are. We provide a wide range of attractive properties for sale, and a dedicated team giving tailored support. We take the stress away and look after your property as if it was our own. Located within the heart of Whetstone, we specialise in the sale, letting & management of properties across many parts of North London and sections of Hertfordshire - covering areas such as Whetstone, Totteridge, North Finchley, Finchley Central, Friern Barnet, Southgate, Barnet, Arkley, Hadley Wood and all surrounding areas. Download Our Properties App from App Store / Play Store. How to download and install "Our Properties" app on an iPhone and Android phones? Please click on the Youtube Link to find it out..
Click on the below icon to download the Our Properties App from the App Store. Click on the below icon to download the Our Properties App from the Play Store. After installation type the below agent code to get all of our property list. 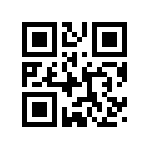 Scan the below QR code to get the list of Our Properties. © 2019 Talbies, All Rights Reserved.